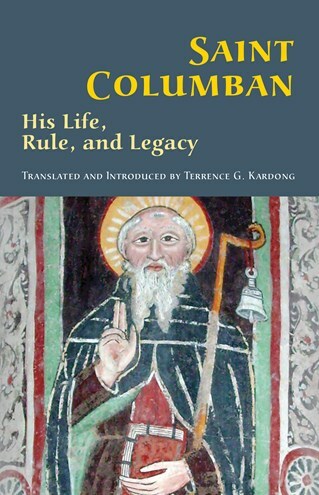 Saint Columban: His Life, Rule, and Legacy contains a new English translation of a commentary on the entire Rule of Columban. Columban was a sixth-century Irish monk who compiled a written rule of life for the three monasteries he founded in France: Anegray, Luxeuil, and Fontaines. This volume also includes the first English translation of the Regula cuiusdam Patris ad Virgines, or the Rule of Walbert, compiled by the seventh-century Count Walbert from various earlier rules designed for women, including those of Columban, Benedict, Cassian, and Basil. This book begins with an extensive introduction to the history of Columban and his monks, as well as various indices and notes, which will be of interest to students and enthusiasts of monastic studies. Terrence G. Kardong, OSB, is a monk of Assumption Abbey, Richardton, North Dakota. He has been editor of The American Benedictine Review since 1982 and has written many books and articles, including Benedict's Rule: A Translation and Commentary and Benedict Backwards, both published by Liturgical Press. "Columban emerges as an extraordinary man. He was an intelligent, spiritual, imaginative and combative leader. He deserves to be studied more in our own times." "Kardong is America's foremost scholar on monasticism in general and on monastic rules in particular. To his much-acclaimed translation of and commentary on the Rule of Saint Benedict Kardong can now add his translation of the Rule of Monks, the Cenobitic Rule, the Penitential Rule, and the Rule of Walbert. Kardong's translation, based on both French and English sources, as well as on his own prodigious knowledge of Latin, is first rate. Especially helpful is his introduction and copious footnotes. In both, we see Kardong's wit and scholarship at their best. A must-have for anyone interested in monastic studies." "Columban was a force to be reckoned with and his story becomes even more compelling as presented by Terrence G. Kardong. While having some things in common with the Rule of Benedict, the Rule of Columban presents a fascinating view of another type of monasticism that existed shortly after the time of Benedict. Kardong presents it in a clear contemporary translation, accompanied by interesting and detailed commentary. While its penal code may seem harsh to modern sensibilities, many of the faults it deals with will be no stranger to readers. Kardong points out that Columban's penitential actually paved the way for the sacrament of confession as we now know it. Although it appears last in this volume, those interested in rules for women's communities will certainly not want to miss the rule that Columban's successor Walbert wrote for nuns." "Kardong diligently shows in his footnotes how his translation plays of the original, with frequent lessons from his own experience of his fifty years within a monastic community. Without these observations, this would not be only a far duller but a less useful project. Kardong's attention to nuances testifies to his scholarship, and this neatly complements his previous translation and commentary on Benedict's rule. "The productiveness of Fr. Terrence Kardong is astounding and from it we have all benefited. Here, once again, he makes accessible to us a literary monument of the ancient monastic tradition, this time the Rule of Columban, written not more than fifty or sixty years after the Rule of St. Benedict. With the meticulousness and erudition and wit that we have come to expect from him, Fr. Terrence provides fresh and lively translations of this historically significant Rule and one of its epigones, the Rule of Walbert. What a wealth of fascinating—and strange—material one finds in these texts!"